Do you have some basic cleaning chores around the house that a pressure washer could handle efficiently? Are you looking for a lightweight tool that will let you remove stains, dirt, and debris with ease? The AR Blue Clean electric pressure washer can do all this for you without compromising your budget. 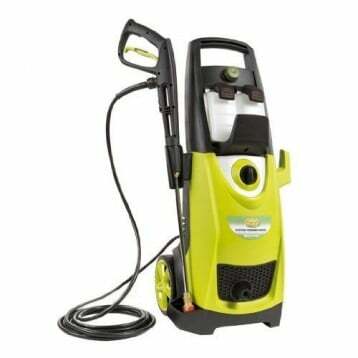 With 1600 PSI provided through 1.58 gallons per minute, you’ll have an effective cleaning performance every time you plug this pressure washer in to use it. It’s priced below $100 on Amazon right now. What Are the Key Features of the AR Blue Clean? 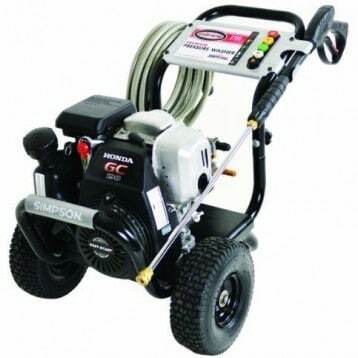 This particular pressure washer is built to withstand corrosion. The plungers are made from tempered stainless steel and you’ll have a three axial-piston wobble-plate pump helping to provide you with a consistent stream of pressurized water. You’ll be able to use the AR Blue Clean over several seasons without having to worry that it will wear out thanks to the quality of its craftsmanship. There are a few other features that some users may find to be of interest with the AR Blue Clean as well. 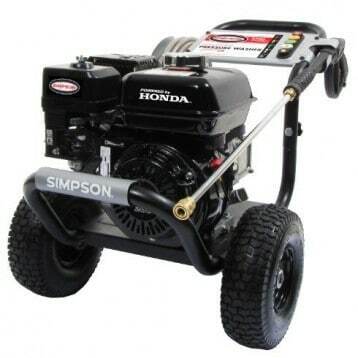 An automatic safety valve has been included with this pressure washer’s design and it has been equipped with pressure shut-off at the valve. You’ll receive a 20 foot hose that connects to your spray wand and a 30 foot power cord for extra flexibility in use. The spray head is fully adjustable and offers a detergent injector kit that will allow you to disinfect virtually any surface. We loved the fact that a water filter is also included with this particular model. 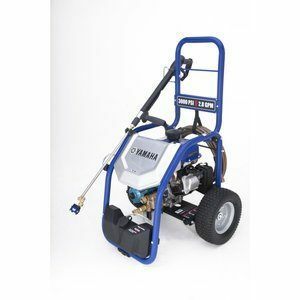 It allows users with harder water to still be able to effectively pressure wash without potentially compromising the integrity of the machine. Why Choose the AR Blue Clean Today? Normally you get what you pay for and a sub $100 pressure washer doesn’t typically mean you’ll get a lot of use. The AR Blue Clean proves this theory can be wrong. It can wash your car, your deck, or even get some of the dirt and debris off of the side of your house. 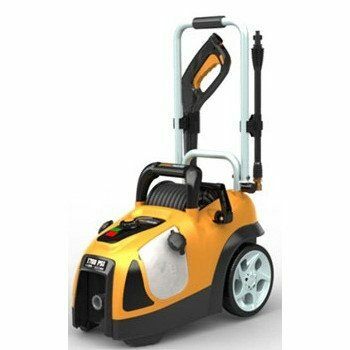 It’s not going to take out deep stains, but this pressure washer will deliver a strong cleansing performance as a handheld unit. The one place of improvement we would have liked to have seen would be a trigger lock. Holding the pressure washer and holding the wand can cause a lot of fatigue in the grip. 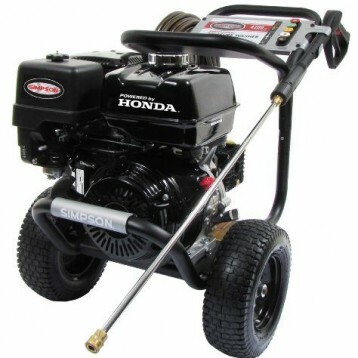 By locking the trigger in place, this pressure washer would be a lot easier to use. If you just have basic cleaning needs that go beyond what the garden hose can do, then the AR Blue Clean is a pressure washer to consider using today. It offers a strong, consistent performance that will allow you to have your property always looking its very best. 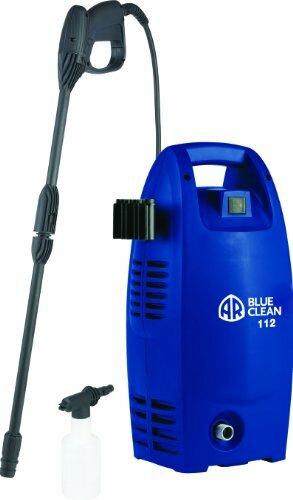 Click here to view pricing on Amazon and find an awesome deal on the AR Blue Clean Electric Pressure Washer.